We receive many questions about all aspects of BATOD and the education of deaf children. Here are some of the most frequently asked questions with responses. My Local Authority is trying to move me on to the Soulbury Scale. What should I do? Members often approach us expressing concern about their Local Authority’s intention to move them on to the Soulbury scale and away from Teachers’ Pay and Conditions.We have discussed this issue with trade unions and professional bodies and, for example, the NUT, has clearly stated that it is their view that if a teacher is carrying out any of the duties of a teacher for any part of the week – as opposed to offering advice without directly teaching children – then it is not lawful to force the change. The fact that this teaching may not be full-time is not relevant. Colleagues can of course agree to such a change but need to be aware that there are considerable implications for retirement age, pension, hours of work, holiday entitlement and other aspects of pay and conditions which they should explore. As in all such cases we encourage members to belong to and consult a national trade union or professional body for teachers. It should be noted too that BATOD usually makes an annual contribution to the national Review of Teachers’ Pay and Conditions and the Association’s contributions are often quoted and taken into account. I am a Teacher of the Deaf. Why should I join BATOD? BATOD is the sole professional association for Teachers of the Deaf and provides a voice for the profession at the heart of Government including the DfE, Ofqual and the National College for Teaching and Leadership and with a variety of other organisations such as the NDCS and NatSIP. In addition to two highly respected publications – the Association Magazine which appears five times a year and a quarterly academic Journal, Deafness and Education International. BATOD is involved in a huge range of activities designed to support Teachers of the Deaf and promote excellence in the education of deaf children and young people.Apart from representing the profession in a range of contexts and responding to enquiries from Teachers of the Deaf, parents and members of the public, the association produces materials, resources and publications in furtherance of our principal aims. BATOD puts on conferences and courses both regionally and nationally and often publishes lectures and workshop content in our Magazine and on the website. Teachers of the Deaf meet each other through BATOD’s regional and special interest groups. The BATOD website is increasingly becoming the first stop for many people within the profession and beyond – the Situations Vacant section and the members’ noticeboard are frequently visited and keep the profession up to date with what BATOD is doing and what is happening in the wider world of the education of deaf children. The Association is a ‘not for profit’ organisation and membership fees fund the great majority of the work of BATOD so that the more ToDs belong to BATOD the more work can be done on their behalf. Supporting BATOD means supporting yourself as well as your colleagues. When BATOD speaks, it speaks with the voice of the Teachers of the Deaf throughout the UK – over two thirds of them are members (membership is for individuals only – we do not have institutional members). 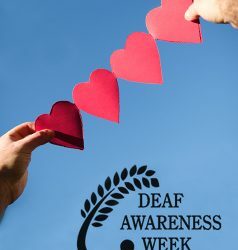 It is essential that we represent the whole profession and to be able to do so it is vital that individual Teachers of the Deaf join and participate. Please can you help me with my dissertation? One of the most frequently asked questions requests help with dissertations and assignments.More and more students, teachers and other professionals approach BATOD asking for help with a variety of academic and other assignments. On the website you can browse through the indices of recent BATOD Association Magazines. This is to be found at Articles/Publications/BATOD Association Magazine/Association Magazine content. The indices for all Magazines are available there – each entry has a short abstract and the name of the author. Members who are registered on the website can have access to past editions of the magazine through the website. Birmingham University Education library (the BATOD archive is housed within the University) has a collection of all our Magazines and Journals – The Action on Hearing Loss library also has a similar collection. The NDCS has produced some useful publications which may support your work. 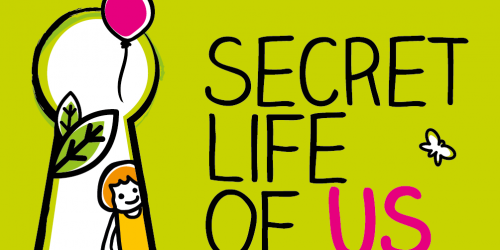 Its ‘Supporting the achievement of deaf children’ resources aim to support education professionals working in early year settings, primary schools, secondary schools and further education. 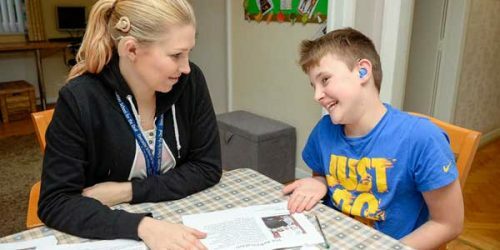 The resources set out simple tips to ensure effective inclusion so that deaf children or children identified as having a ‘hearing impairment’ can achieve their potential. You can access these resources here. 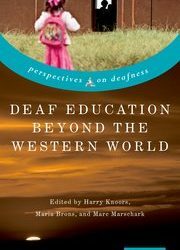 Marschark, M. and Knoors, H. (2012) Educating Deaf Children:Language, Cognition and Learning. Deafness and Education International. 14(3), pp.136-160. Wood, D. et al. (1986) Teaching and talking with deaf children Chichester: Wiley (still very relevant despite its age!). Please let us know about any other publications which have proved especially useful. How can I train as a Teacher of the Deaf? This is certainly one of the most Frequently Asked Questions.We have a comprehensive document which sets out all the information you need. You can find it on this website at Training as a Teacher of the Deaf.The key point which you need to remember is that in order to train as a Teacher of the Deaf you must have Qualified Teacher Status. We do not offer specific advice on this as there are often many personal circumstances to be taken into account. Therefore you need to visit the DfE’s Get Into Teaching website to find out more. Please can you send me an information pack? BATOD used to have an information pack which was sent to enquirers. However, this was not an efficient way of working because the information changes frequently and also a lot of information would be sent out which was not relevant to the enquirer. Consequently, we no longer have an information pack but we direct people to our website where there is a wealth of information which can be downloaded at will. There is an application form which contains a summary of the work of BATOD which can be downloaded and is to be found here. What were BATOD's subscription rates over recent years? The BATOD membership subscription can be claimed against income tax. Information about subscription rates in previous years can be found here. Can BATOD offer financial support for training? Several organisations offer independent financial assistance to students who are self-financing. The Guide to Educational Grants 2015/16 by Gabriele Zagnojute & Denise Lillya in association with the National Union of Studnets published by the Directory of Social Change, is available in most public libraries and could be useful. More information is available on the DSC website. How can I get back copies of the Magazine and Journal? You can obtain electronic copies of recent BATOD Magazines if you are a member.You can browse the contents of these magazines by consulting the Association Magazine section on this website. Birmingham University Education Library, The Action on Hearing Loss Library and also the National Library hold copies of all our publications. The National Library keeps such publications on microfiche so it is possible you could get a whole copy. For issues of the Journal, details are on the Journal page of this website which are accessible through the home page. Do you have magazine articles about literacy, audiology, British Sign Language, parents and families etc.? You can browse the contents of all the BATOD Association magazines since 1999 by consulting the indices. If you need even more information go to the FAQ about writing a dissertation. Can I use an article taken from the BATOD Magazine? There is usually no problem with this as long as the source is very clearly acknowledged. However, please contact publications@batod.org.uk. How many deaf children are there in England (and in Northern Ireland, Wales and Scotland)? You can find out the answer to this and many other questions about deaf children including where they are educated and through which communication and language approach by consulting the section of this website devoted to the CRIDE survey. You can find out the answer to this and other questions about access to signing classes by consulting the section of this website entitled access to signing classes.